Would you believe I have never tried anything from Barry M? I know, I know, I had never even tried their nail polishes which are really very popular in the drug store. I popped into Boots sometime in October to see if there were any nice deals and indeed there was. 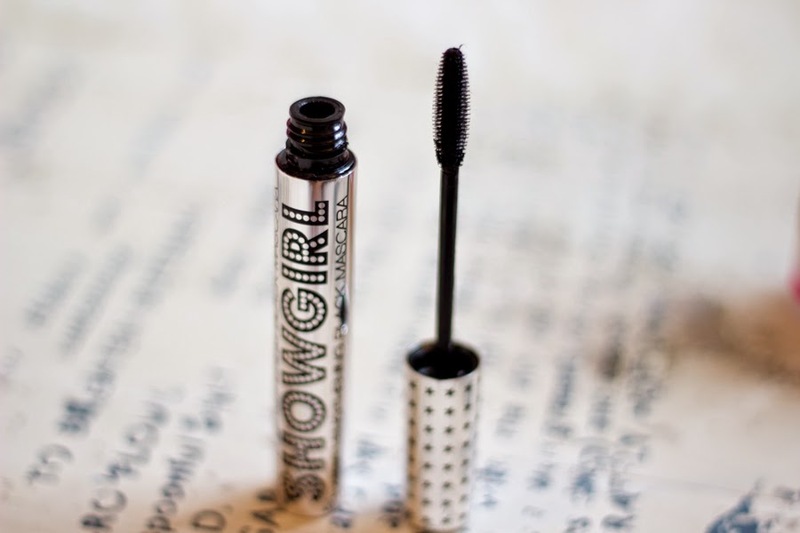 Boots was offering a choice of a Barry M lengthening or volumising mascara with any purchase of £7 so I decided to try a few products from the brand and I am loving them so far. 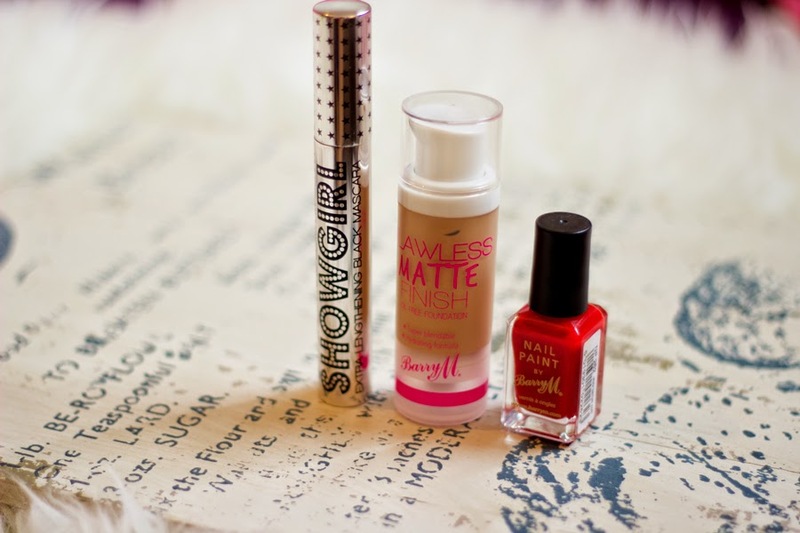 I picked up a Barry M Nail Paint in Bright Red, Barry M Flawless Matte Finish Foundation and I got a free Barry M Show Girl Extra Lengthening Mascara. I have to say I really like their nail polish range because they have a wide variety of lovely colours and various finishes which I think is impressive for a drug store brand. I know, I definitely should not be buying any more foundation but I was quite surprised to see that Barry M had a shade that seemed to be similar to my skin tone. Now, they have a very limited foundation range; I think they just have 5 shades and my shade is the darkest shade Tan (5). I did a little swatch in store and it looked good so I purchased it. The major reason I got it was because it did not have that beigey undertone as it was more of a yellow one which is right down my alley. 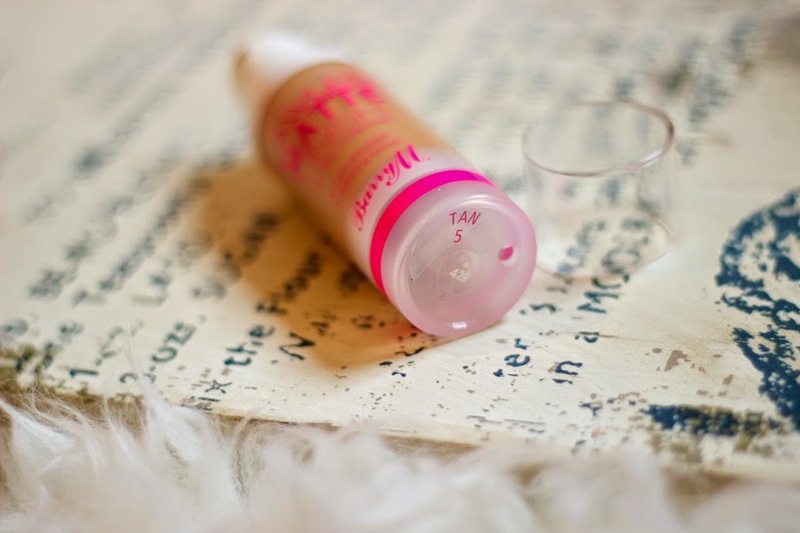 The packaging is actually nice and girly and it has a pump which I was really pleased about. I did not really have any high hopes for this but I was surprised. It is a good match to my skin especially when I pair it with my powder and it applies well with a matte finish. 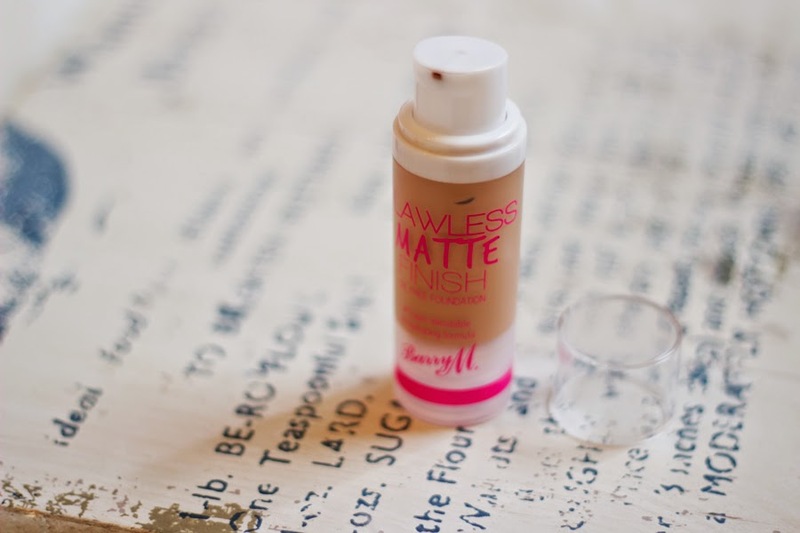 It doesn't offer the best coverage so you may need to go in with concealer for any pesky blemishes. Its lasting power is very limited; (even with a primer) and it's more of a light-medium coverage foundation so I reserve it to use during weekends when I only wear makeup for a really short time or none at all if I am going to be indoors. If you have clear skin which is oily/combination and you are looking for a foundation with a matte finish, you may want to try this....assuming you find your shade. But, I am quite pleased with it as it was only £6. 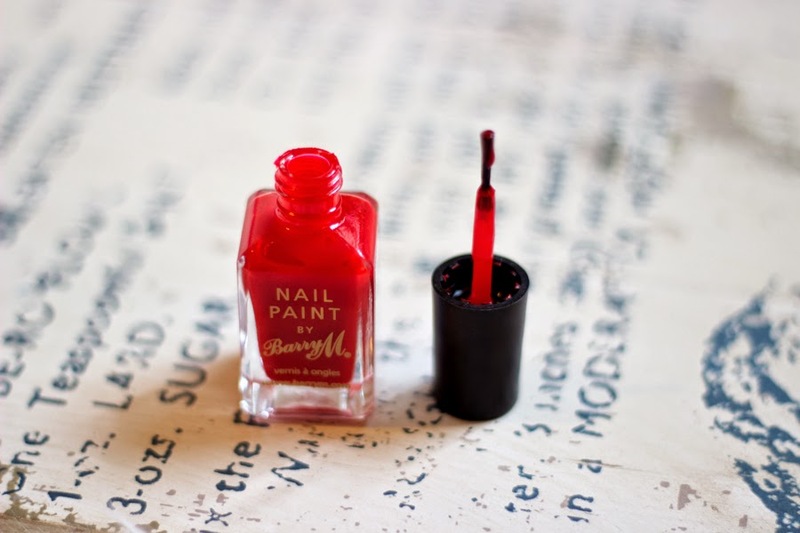 I am pretty sure I must be the only UK blogger who has never tried Barry M nail polishes as it has been raved and hyped as a good drug store nail polish. 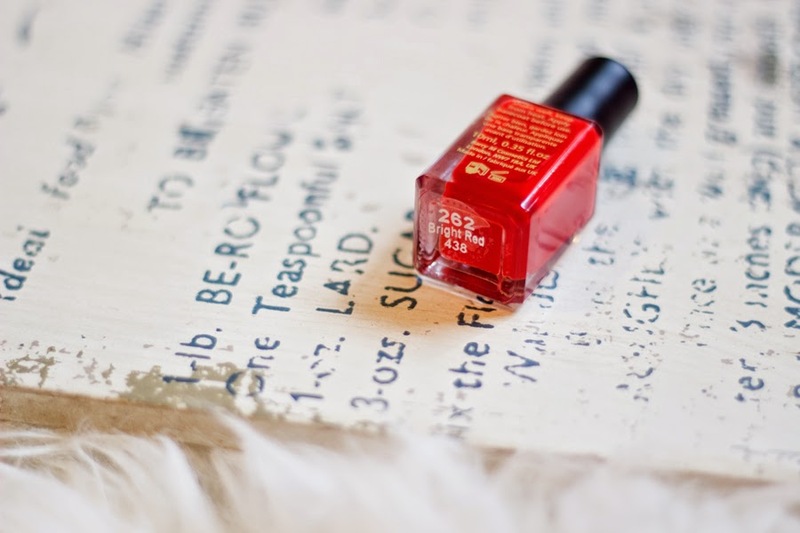 I am so glad I got to try it and the shade I chose (bright red) is very christmassy and I love it as it is a true red that looks very classy on my fingers even though my nails are very short at the moment. It has a narrow wand which I thought may be problematic as I am not the best nail painter out there and prefer wide nail brushes. Again, I was surprised that the narrow nail brush was an advantage as it seemed easy to use and the nail polish covered/painted my nails in a precise manner. 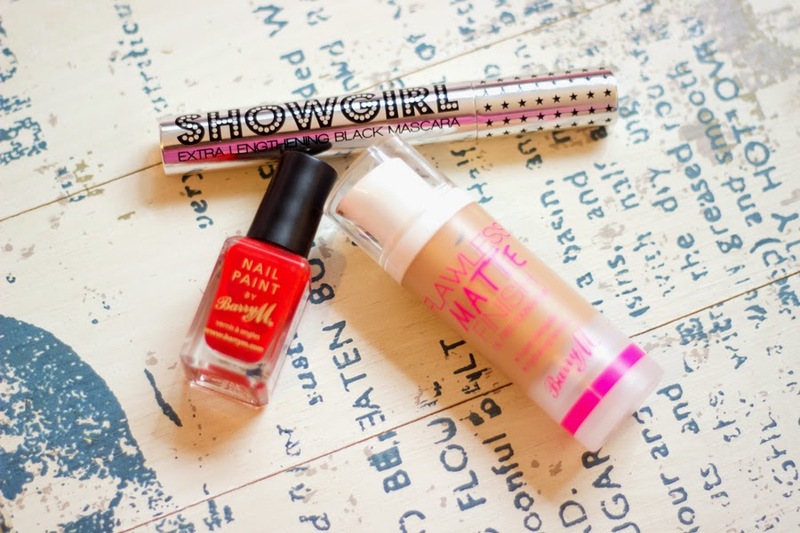 The formula in itself is rather lovely and it applies well even with one coat. Drying time is fair but I can't really tell because I paired this with my holy grail top coat- Seche Vite Top Coat (review here) and my nails were dry just under a minute. I really like this nail polish and I picked up another one already. It costs only £2.99 which is a good price for the quality you get.